Aviation | The Flying Zone | What's Best Audio and Video Forum. The Best High End Audio Forum on the planet! I'm starting a new thread on Airplanes, all planes from the very first beginning to today...2020 and beyond. It is open to everything that fly; jets fighter planes, passenger planes, helicopters, drones, gliders, ...everything from the first built in aviation history. This will be a very huge thread. I'm going to start with the Concorde first. Why? Because it was a magnificent plane, a supersonic passenger plane based on super jets with super aerodynamics. 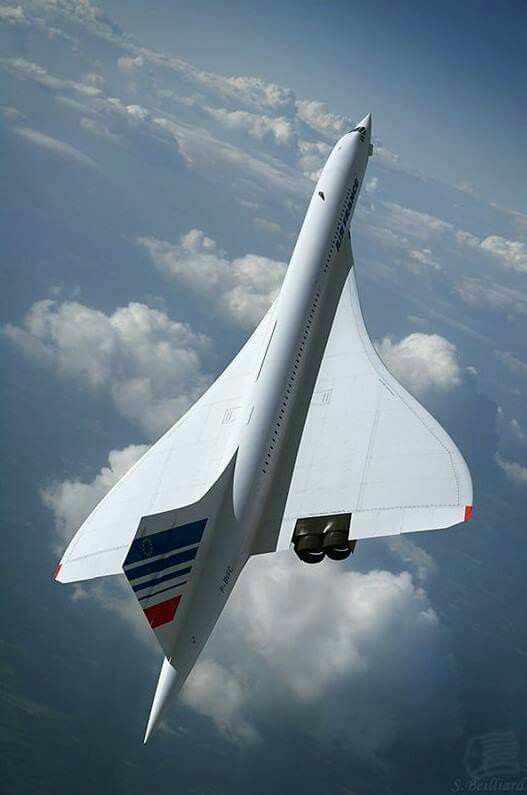 We are going back in times around the 1950s, then 1965 and 1969 and up to 2003; for the Concorde. Number one question: Did anyone here ever flew aboard one? This thread is not just about the Concorde, it's only the plane I picked first to start, that's all. If your interest is large, if your time is on your side, if you read the Wikipedia introduction on the Concorde, the travelling trip is super interesting because of the highly technical developments from seventy years ago, the other related super fast planes during the development, its influences, ...some amazing engineering of physics, mathematics, biology, altitude, speed, environment, fuel burning, trust power, investments, costs, profits, etc. Any plane, any flying object, any speed, any size, anything above ground without touching it that you are fascinated with, you are more than encouraged to share with the rest of us, also super fascinated on aviation's history and all the planes that are inside that history, part of our lives yesterday and today and tomorrow. * This is a test; "I'm going to dedicate the next two years of my life in feeding this aviation thread" (with a touch of super interesting information), and without abandoning two of my greatest passions...music and films (Audio & Moving Picture). Besides, the Concorde had a supersonic boom, and was moving super fast with great elegance (sound and style). The world's largest plane flew for the first time on Saturday, April 13, 2019. The massive airplane was flown at the Mojave Air and Space Port in Mojave, California. It's almost as big as the International Space Station and can weight up to 500,000 pounds. Called Roc, the plane took off at 6:58 a.m.
Are there two pilots or one. "The aircraft is designed to fly satellite-carrying rockets to an altitude of about 35,000 feet (10,700 m), then release the boosters so that they can launch their payloads up to orbit." "One day soon, Stratolaunch hopes to carry 250-ton rocket ships loaded with satellites to a height of 35,000 feet—into the stratosphere. Once at cruising altitude, a rocket's engines would ignite, carrying it and its satellite cargo the rest of the way into space. Only a select few facilities, like the Kennedy Space Center in Florida, can handle rocket launches, which means tight competition for scheduling and long wait times. Airplanes can take off from many more runways, which Stratolaunch hopes will give its aircraft a competitive edge for those wishing to launch satellites into orbit. The airplane's six Pratt & Whitney engines and 28-wheel landing gear were originally designed for Boeing 747s. In fact, the aerospace company Scaled Composites, which worked with Stratolaunch to build the aircraft, saved money by repurposing three 747s to put it together. The aircraft fills almost every corner of its approximately 100,000-square-foot hangar in the Mojave Air and Space Port. Its maximum takeoff weight is 1.3 million pounds. (It's also worth noting that while the plane is the largest in terms of wingspan, other planes exceed it in length.)"